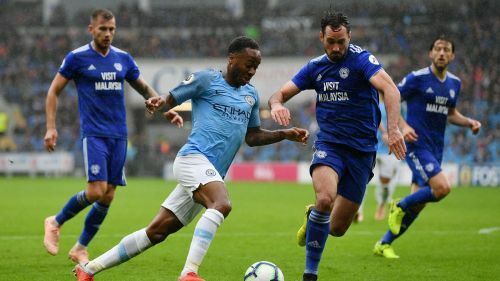 Manchester City's Premier League home game against Cardiff City has been moved forward to Wednesday, April 3. The fixture had been due to take place on Saturday, April 6 before Pep Guardiola's side progressed to an FA Cup semi-final against Brighton and Hove Albion to be played on the same date. The EFL Cup winners are two points behind Premier League leaders Liverpool with a game in hand in their title defence and face an all-English Champions League quarter-final against Tottenham – the first leg taking place three days after they face Brighton at Wembley. If City get past Tottenham to reach the final four of the Champions League, they will end up playing every weekend and midweek from the resumption of the Premier League on March 30 until the end of the top-flight season. Cardiff sit third bottom in the Premier League relegation zone but have played one game fewer than Burnley, who are two points better off in 17th. Which player would be the best replacement for Fernandinho at Manchester City?